Blizzard is partnering with Scholastic Corporation to publish a series of children's books based on its mega-popular MMO World of Warcraft. World of Warcraft: Traveler follows explorer Aramar Thorne, who adventures through Azeroth guided by his father's magical compass. Written by comic author and animator Greg Weisman and illustrated by Blizzard art direector Sam Didier, the books will be official canon in the Warcraft universe. 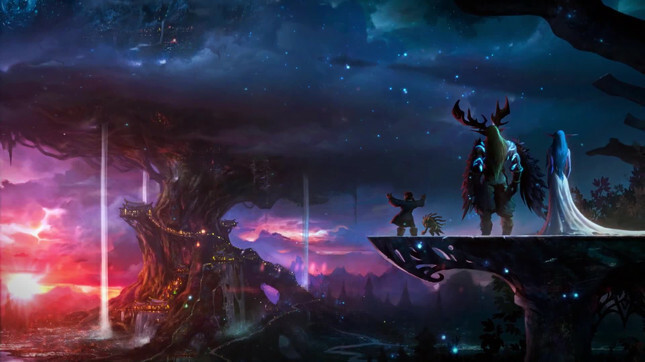 Traveler will be aimed at the 8-12 age range, aiming equally to introduce World of Warcraft to newcomers and to satisfy fans. The first entry in the series is set for a November 2016 release, with the second coming a year later. Elsewhere in Blizzard's media blitz, the World of Warcraft: Legion expansion is set for release by the end of September, while the Warcraft movie will release on June 10th.